My favorite cleansing facial wipes are made by Simple Skincare (check them out here). The wipes are great for removing makeup or washing your skin when you’re really lazy. I love that they are very gentle, as I have sensitive skin and most other wipes irritate me. They are also recommended by Allure magazine. The normal pack of 25 wipes sells for around $6. I went to Target today though, and saw that they now offer a 2 pack of 50 wipes for only $8! I couldn’t tell from the shelf set if this was a permanent or limited offer. I hope it stays, because it’s a great deal for an awesome product. 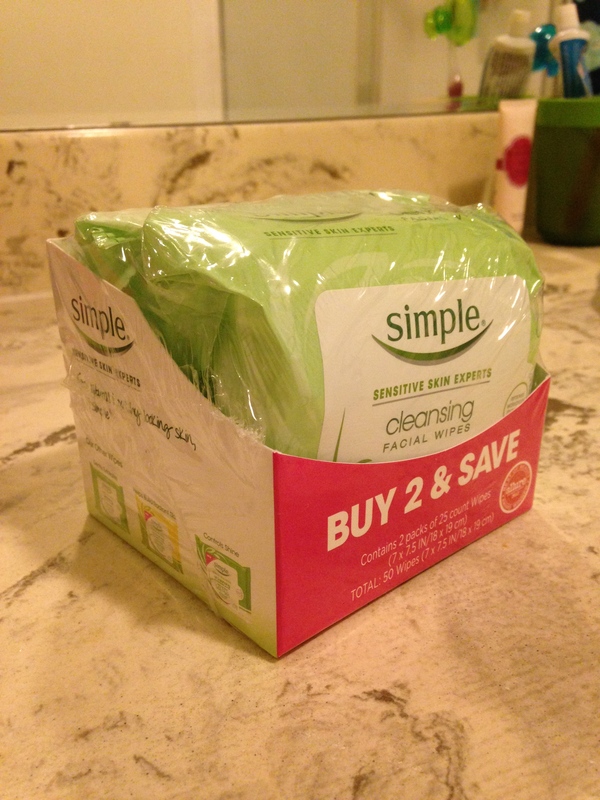 Go try Simple’s cleansing facial wipes if you haven’t already.